Compliance with the constantly changing environment of health care reform has become a challenge for employers. 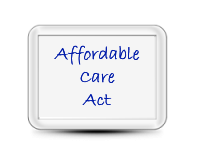 The Affordable Care Act (ACA) law is complicated due to the many new regulations and guidelines being produced by the HHS, DOL, EBSA, IRS and other agencies. Ignoring the Affordable Care Act can be Costly!! If you have 50 or more employees, the penalties under the ACA will apply to you. It is predicted that between 2015-2019 employer paid penalties can exceed $33 billion dollars. By 2019, this will equate to approximately $1,000 for each of the almost 6 million workers employed by large employers who either ignore the new regulations or simply choose to pay the penalties. Even if you don’t have 50 employees, you still will have to comply with parts of the law. For example, you must provide an Exchange Notice to all your employees regardless of whether you offer health insurance or not. If you don’t offer health insurance, we can help you provide information to your employees to help them investigate what the Affordable Care Act can do for them. As the landscape of employer sponsored health plans changes, you can look to BCL Systems, Inc. to work with you to customize the best solutions for you and your employees. Contact us today to find out what we can do to help you avoid the costly penalties under this new law.